Connect to campus resources that help you stay well! 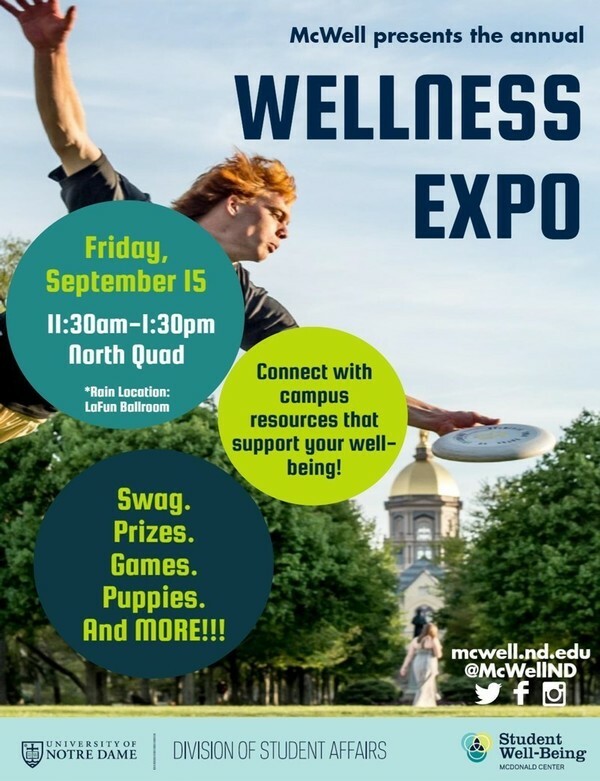 Join the McDonald Center for Student Well-Being and campus partners at the annual Wellness Expo on North Quad (or LaFun Ballroom in case of inclement weather). There will be games, prizes, swag, and therapy dogs. All welcome.